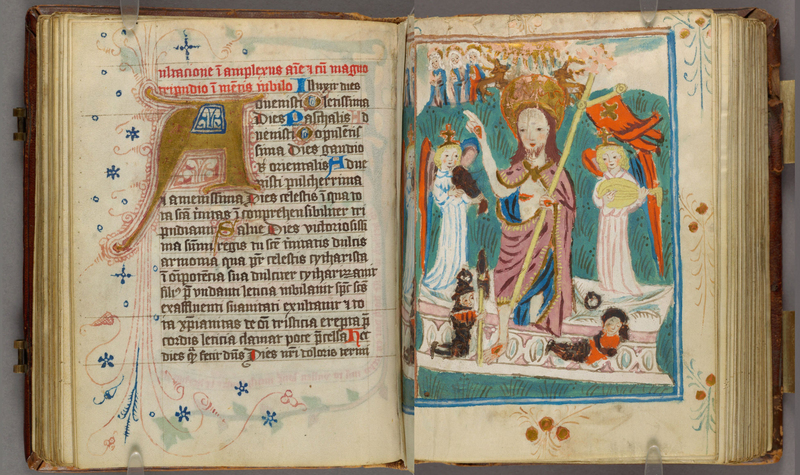 This Northern German Easter prayerbook was among the first manuscripts that I saw and worked with in my teaching at Harvard. 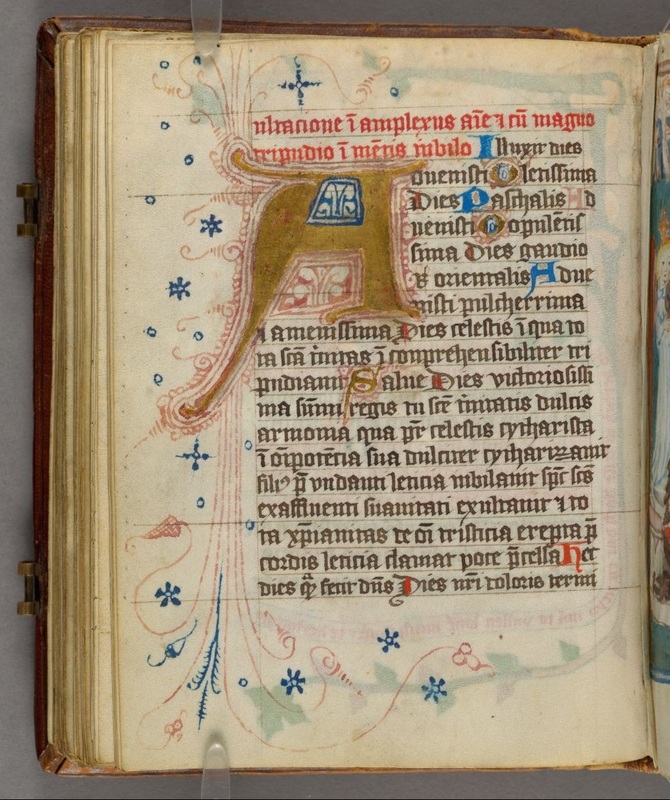 It forms part of a larger collection of the Cistercian nuns of Medingen, who were extremely skilled in the production of highly valuable liturgical and devotional books. This particular book contains Latin prayers and Middle Low German songs alike. The interspersing of vernacular language has, however, nothing to do with the purely visual element of the changing ink color between red, blue, green, and black. 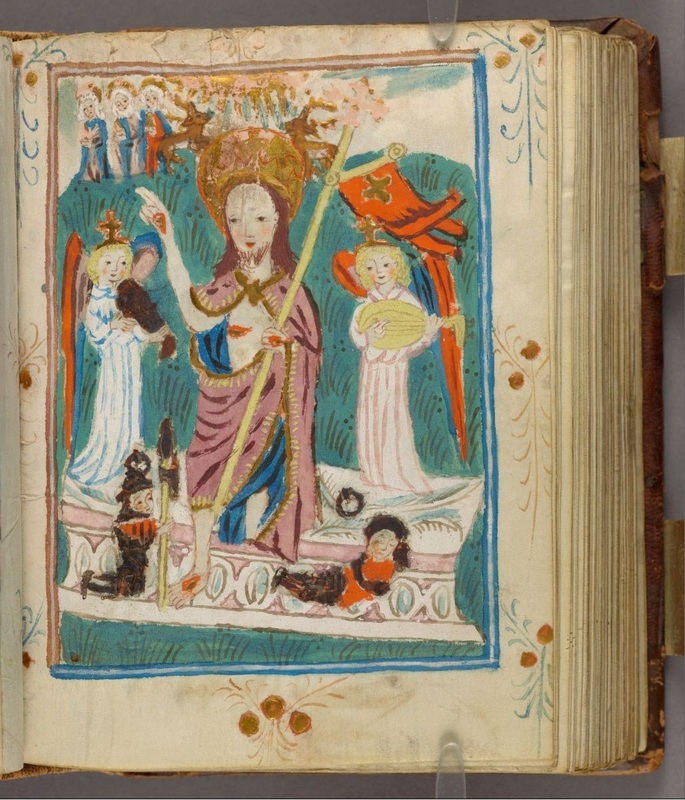 A full page illumination depicting Christ’s resurrection illustrates the book’s topic (fol. 77r).